For complete canopy and portable garage shelter accessorizing browse our wide selection of replacement tops, enclosure kits and anchors to provide durability and stability for your out door all-purpose cover needs. A sturdy pop-up canopy shelter is made to last but you may need more than just a cover for specific out door needs. 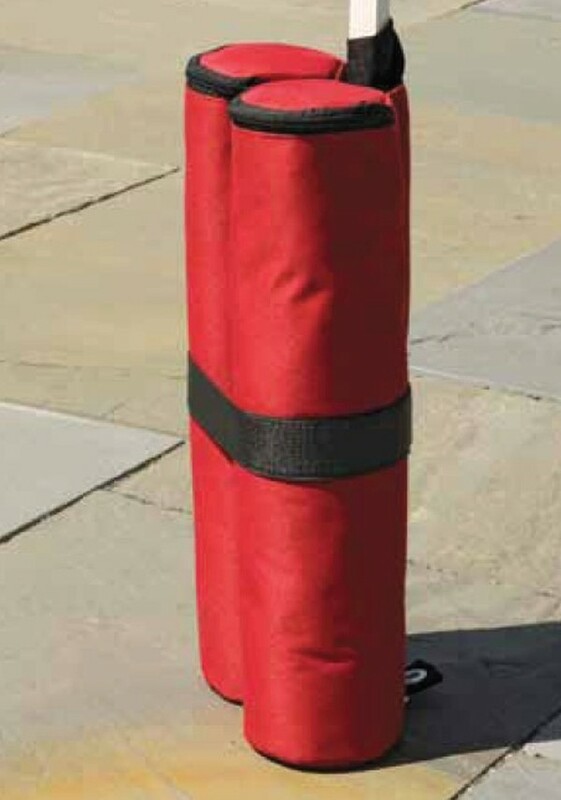 Depending on what you’re covering and how well you need it protected you may be in the market for any number of accessories to provide complete protection. Replacement tops are excellent to have on hand should your original cover sustain any damage, tear or even be stolen. We have a great selection of sizes and colors to choose from. Enclosure and screen kits are ideal for out door patio and event setting to keep out insects and mosquitoes while still allowing fresh air and breezes to keep guests comfortable. It’s better to be safe than sorry so be sure you have extra anchor kits at the ready for emergency procedures in foul weather and in case other anchors break or go missing. 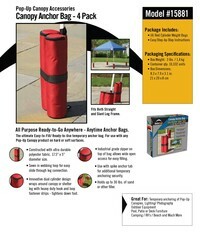 These canopy anchor bags attach to the legs of your pop-up canopy and keep it from moving or blowing away. Each bag can be filled with up to 30 pounds of sand or other filler to provide a secure weight for your canopy.